Wow Betty I love your card! We are so glad you loved our sketch too - thanks for playing along! wonderful Christmas card! 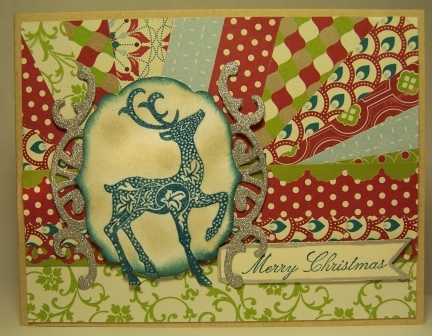 Love the papers and reindeer! Thanks for playing at I Spy!